Cauliflower, one of the healthy vegetables which are not quite cheap in Japan, but people are still looking for this vegetable, sometimes it substitutes of white rice when you want to reduce carbohydrate in your meal. This time FUN! 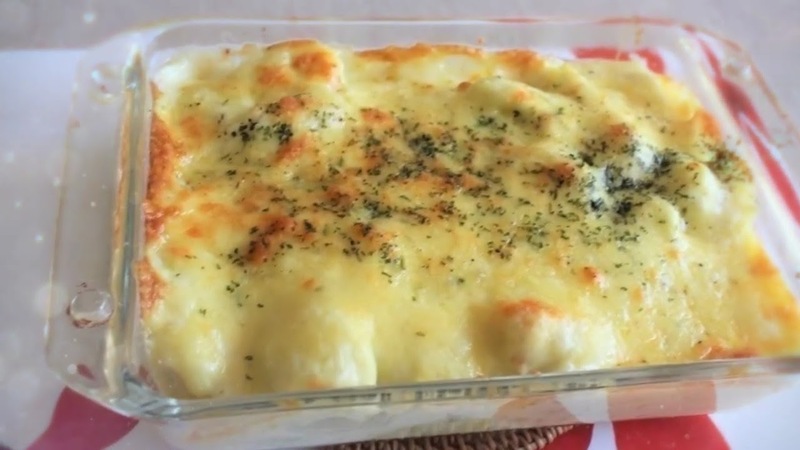 JAPAN will introduce how to make a cauliflower gratin, very easy to cook in a short time. Cut the cauliflower into one-bite, and boil and drain if it cooked well. Place into the oven-friendly container. Chop the onion, melt the butter, and put the onion into the pan. Add the flour and stir well, cook for 1-2 minutes. Take the pan off the heat and gradually stir in one-third of the milk. Return to the heat and simmer, stirring, until all the milk is absorbed. Add half of the grated cheddar cheese, season with the salt and white pepper, and stir well. Cover the cauliflower with the white sauce, the other half of cheese, add the parsley on the top. Oven the cauliflower for 20 ~30 minutes in oven or oven-toaster.